The Riese & Muller Homage is a versatile, well equipped bike for any task. It's dual suspension provides unmatched comfort on any surface. with a beautifully integrated Bosch battery, massive power is truly hidden within the bike. The weight is low and on the center of gravity, riding the homage feels as natural as any other bike. A step through frame and integrated pannier rack provides true versatility in any situation, for any rider. All Homage bikes come with the powerful Bosch Performance Line CX motor. 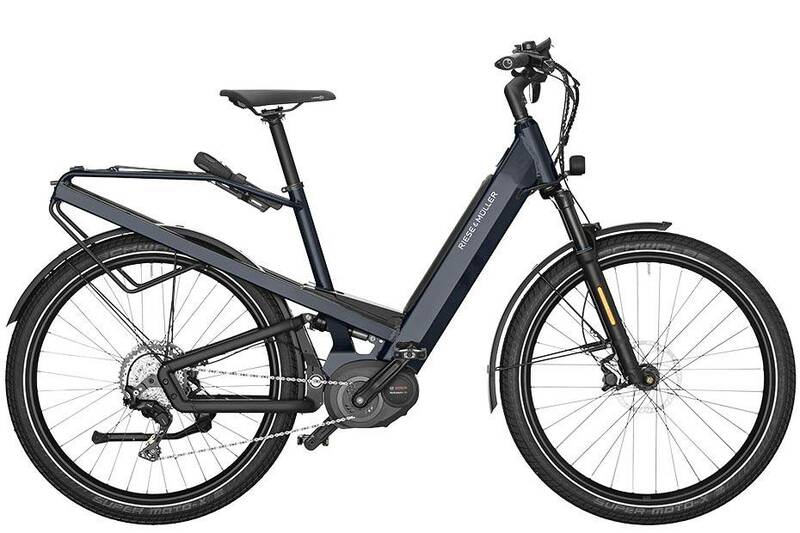 The Homage is available in three drivetrain specifications. The GT Touring package uses Shimano's reliable and proven SLX/Deore 11 Speed drivetrain. 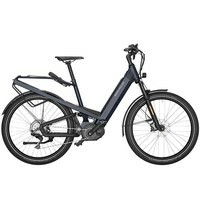 The GT Vario package uses a Enviolo internal geared hub with a silent Gates Carbon Belt Drive system for trouble free riding and no possibility of pinching skin or clothes in the drivetrain. The GX Rohloff package uses the legendary Rohloff 14-speed internal hub for a insane 520% gear range and a Gates Belt drive to power it. The Homage comes standard with a 500WH Bosch powertube battery hidden in the downtube. It is optionally upgrade-able to a 1000WH battery as an option. 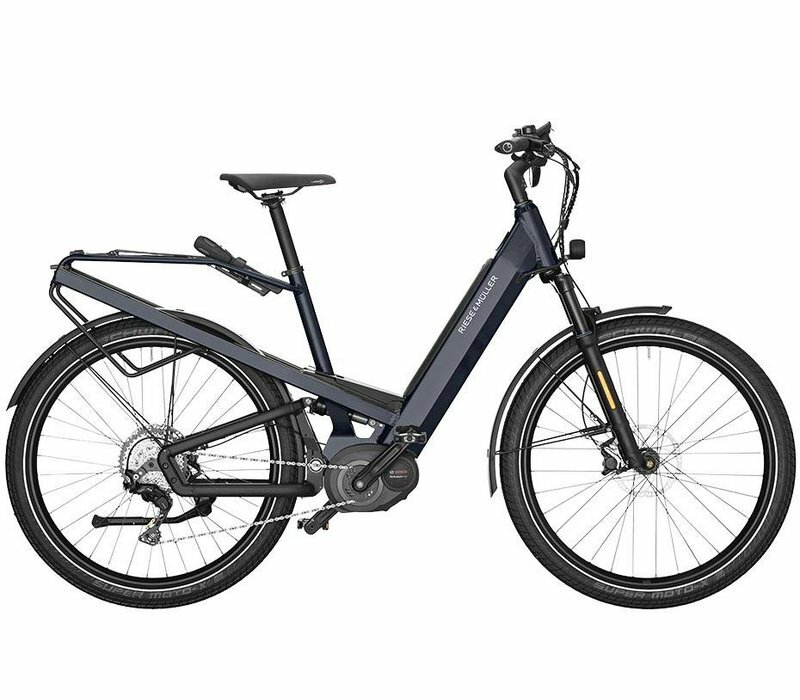 The Homage e-bike uses the Bosch 350w Performance CX system that helps you get up to 32 Kph (20 mph) and go 40 - 160 Km (25 - 100 mile) per charge. The range can be doubled by adding an optional second battery. The Bosch Performance CX system gives you power from the first turn of the pedals. This Bosch system has eMtb mode which senses the pressure on the pedals and automatically adjusts the amount of power the motor adds to your effort. This eliminates the need to change assistance levels and simplifies your ride.